The TEAM O2 Campaign consist of the foundation raising funds and then donating Pet Oxygen Masks to fire department so help save your pets' life. In California this TEAM also consist of a group of volunteer that help every day in many ways to support the foundation. If you are interested in volunteering please "Contact" us. If you live outside of California we have many other ways in which you can help. TEAM O2 also is a group of individuals who we teach and support to establish this life saving equipment "in your town". We walk you through who to call and what to ask. Then hel you decide how to raise funds in your area and assist you every step of the way. Funds raised, we order kits and they're on their way to your local fire department! It's a tiny commitment with a huge impact on your community. 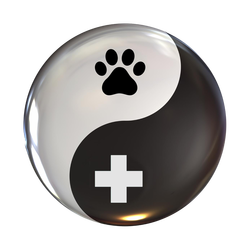 Unauthorized members may not have your pets best interest at heart, please contact us for a current list of TEAM O2 Members, or donate directly using the link below. Successfully establishing Pet Oxygen Masks in Indiana. Successfully raised funds for the state of Oregon. Successfully establishing Pet Oxygen Masks in Pennsylvania.